Photographs included herein were taken 22 through 28 August 2009 while floating the Charley River (and a portion of the Yukon River) of eastern Interior Alaska. Nick and Devan were visiting Alaska for the first time and this float hunt marked Pat's second annual fall hunting trip to Alaska. 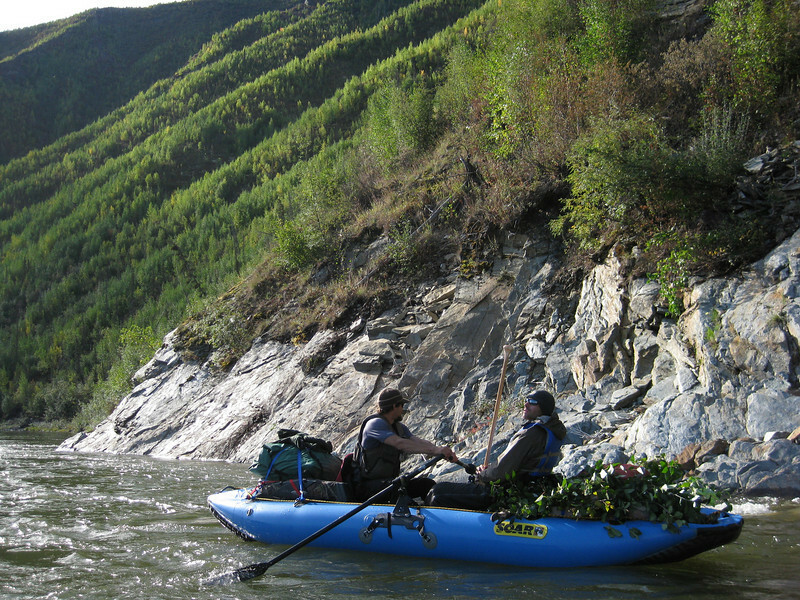 The Charley proved to be an amazing river, and is referred to by at least one source as “…one of Alaska’s best whitewater rivers.” We immensely enjoyed our time on the Charley, but I will let the photographs and accompanying short captions tell the stories. Devan looking skyward, while I look at rock cropping out along the bank.